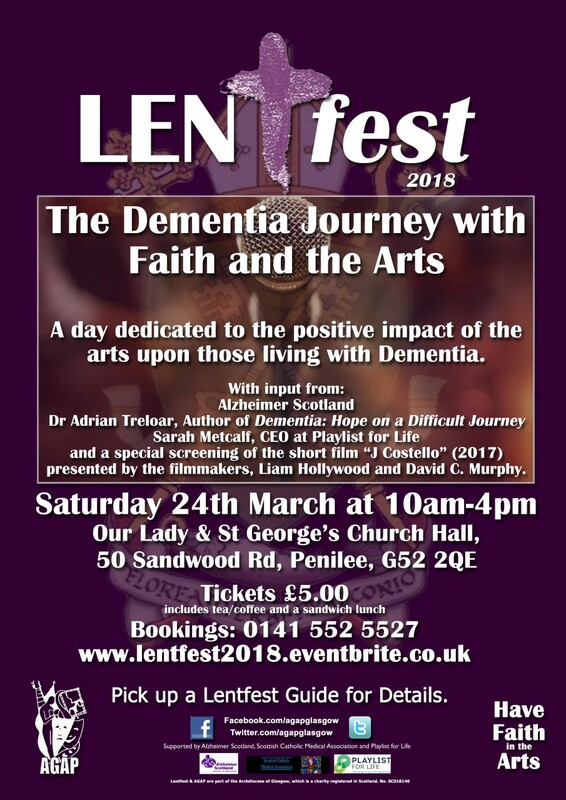 As part of LENTfest, AGAP is hosting a day devoted to the positive impact of the arts upon those living with dementia. We’ll be going and hope to see you there! Featuring imput from Alzheimer Scotland, Dr Treloar, Author of Dementia: Hope on a Difficult Journey, Sarah Metcalf, CEO for Playlist for Life; and a special screening of the short film ‘J. Costello‘ (2017) presented by the filmmakers Liam Hollywood and David C. Murphy.